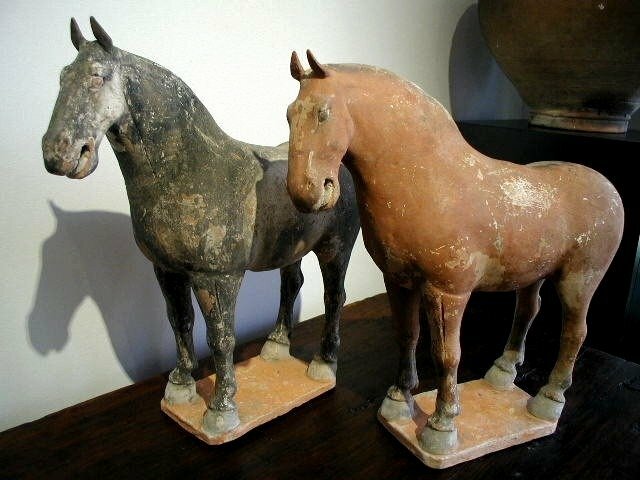 Pair of unglazed/painted pottery "wild horses". Very good details with head slightly turned with open mouth. Tang Dynasty (AD618-907). Oxford T.L. tested. H. 13.5 in L. 13 in.